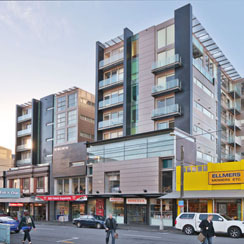 A mixed-use development that successfully responds to the surrounding historic neighbourhood, while achieving high densities close to public transport. Three separate buildings are set around a public-accessible series of laneways. 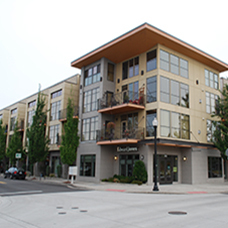 ​The North Mississippi Avenue district of Portland was established in the 19th century, and is now valued for its historic architecture and trendy cafes and shops. 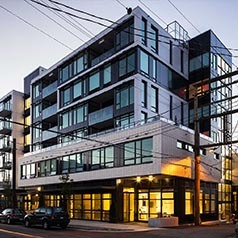 The Tupelo Alley Mixed-Use Development is a three-building complex that recalls the warehouse, commercial and semi-industrial past. 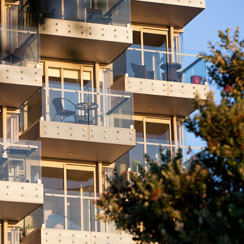 The design integrates ground-floor retail and 188 apartments (studio, one- and two-bedroom) with public spaces and courtyards. 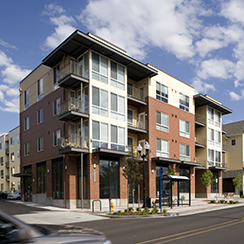 This design scheme activates the street and connects existing alley ways with new neighborhood pedestrian connections, providing a contemporary model for high density “smart growth” and transit oriented development in North Portland. 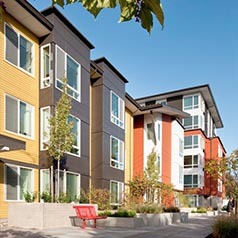 The architecture is scaled to fit appropriately into the context of the surrounding residential neighborhood. The main building is six storeys high at the corner of Mississippi and Failing Avenues, but steps down to five storey further down along Mississippi Avenue. 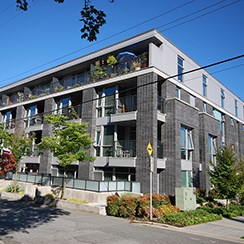 Facing Albina Avenue on the east side are two three storey blocks respectful of the single-family residential character. 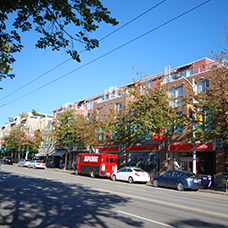 Public permeability across the development is maximised by reestablishing the north south alley (partly running under the building to N Failing Street), and a new laneway running from Mississippi Avenue through to N Albina Avenue to the east. 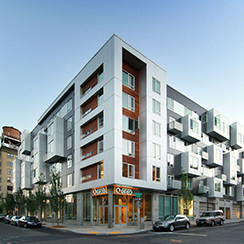 Connections to downtown Portland (and the light rail system) is a 10 minute walk from the development. 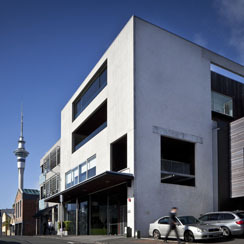 An underground car park is accessed via the side street, and parking spaces are purchased or leased by residents as an add-on to their apartments. 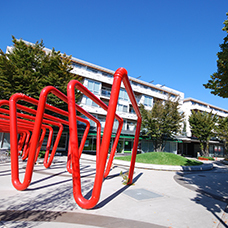 Extensive bicycle parking has also been incorporated into the underground car park. 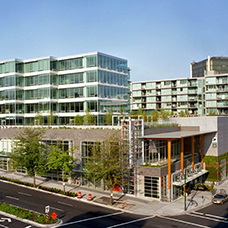 LEED Gold Certification was awarded to this project, illustrating the high levels of environmental design features integrated into the complex.